The Lezyne Shop Shock Drive is a heavy duty shock pump designed for daily shop use. All components are made of custom CNC machined aluminum. 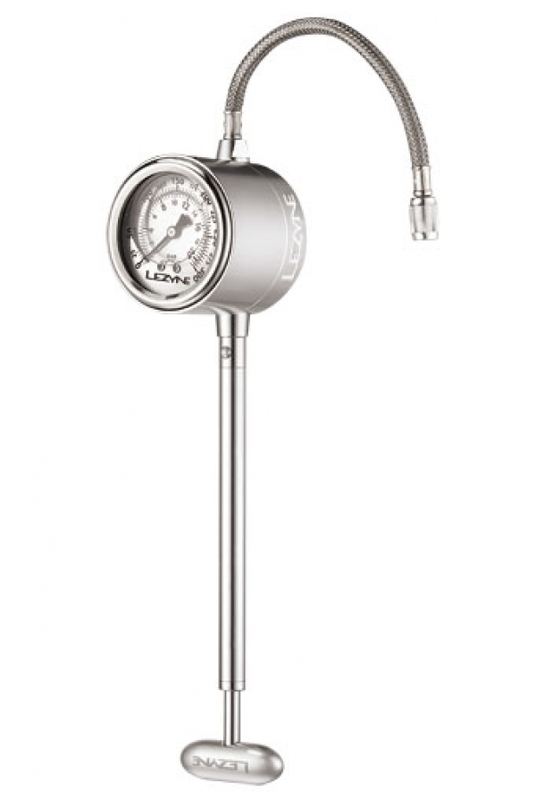 The oversized, oil-filled gauge is durable, accurate and easy to read. The high pressure, steel braided hose threads onto shock valves for a secure connection during inflation. It can be detached from the pump body for storage. 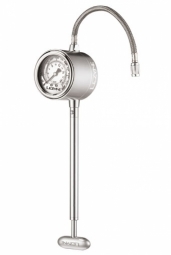 The bleeder valve button allows the user to easily adjust pressure. It comes equipped with Lezyne's ABS Flex Hose, which has a threaded Presta connection with ABS on one side and a threaded Shrader connection on the other. LEZYNE Pompe HP SHOP SHOCK DRIVE wurde bewertet mit 2.0 von 5 von 1.